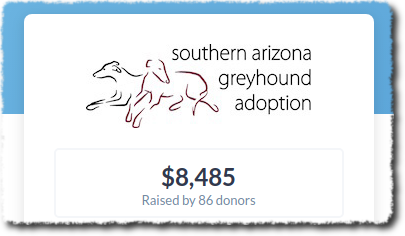 Thanks to all who supported SA Greys for AZ Gives Day! Special thanks to Nancy Lynberg for all of her preparations and to Lorre Wisham and Mary Freeman for running the “control booth” for the entire 24 hours! ← Arizona Gives Day is Tomorrow! Yes, thank you to Nancy, Lorre, and Mary for all the hard work – you ladies rock it for SA Greys!